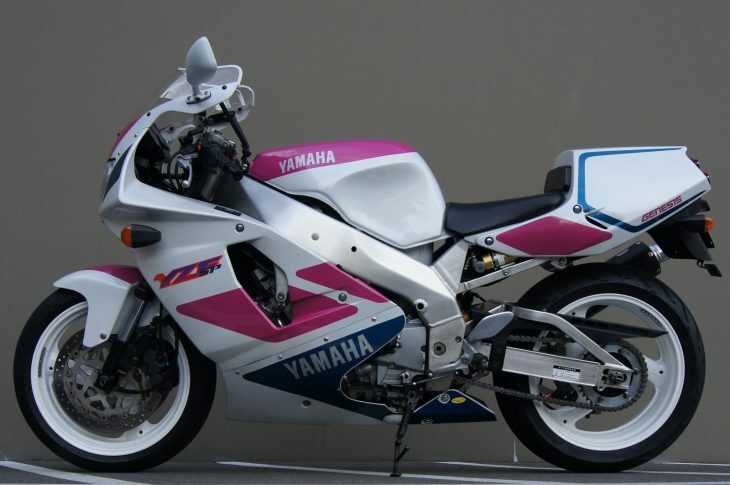 Today's post is a bit of homolgation era goodness, a 1992 Yamaha YZF750R/SP. 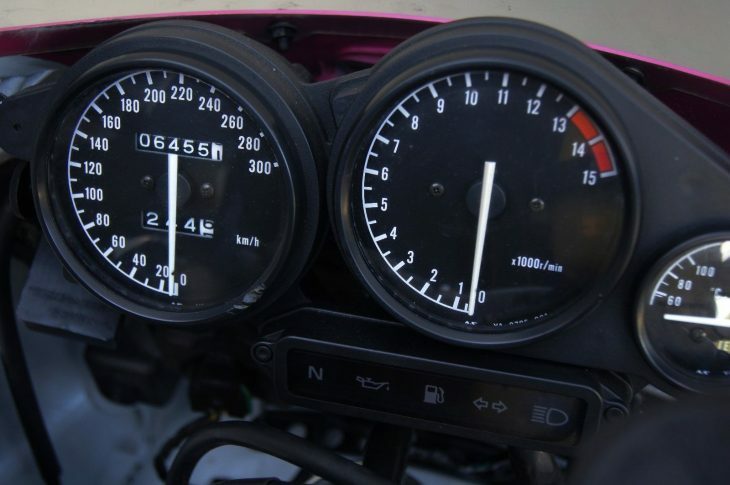 The SP isn't currently as desired by collectors as other 750cc machines, such as a 1st/2nd generation Suzuki GSXR-750R or Kawasaki ZX7RR, nor is it as technologically important as the OW01 or R7. 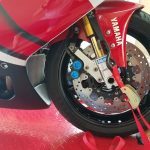 Yet the YZF750SP was dominant for multiple years in Superbike racing and was recently rated as possibly the best 1990's 750cc homolgation machine by Practical Sportbikes (April 2017). Combine this with it only being produced from 1993-1996 and with this one showing only 4,017 miles, it certainly seems worthy of a post here on RSBFS. 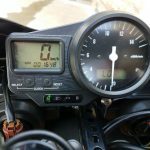 Ask a group of sportbike fans what the "best" 1990's 750cc machine was and you will no doubt get a variety of answers. Some will say it was the GSX-R750, the bike that really launched the repli-racer craze and the last of the air cooled monsters. Others might say it was the Yamaha OW01, R7 (Ow02) or perhaps the Kawasaki ZX7RR...you might even get a few votes for the landmark Honda VFR750, a progenitor of the V4 philosophy that now rules MotoGp. Ask this same group about the Yamaha YZF750R SP and perhaps you get a few comments of "um..yeah..nice bike" or shrugs but very few would probably initially list it as the best 750cc of the 1990's. 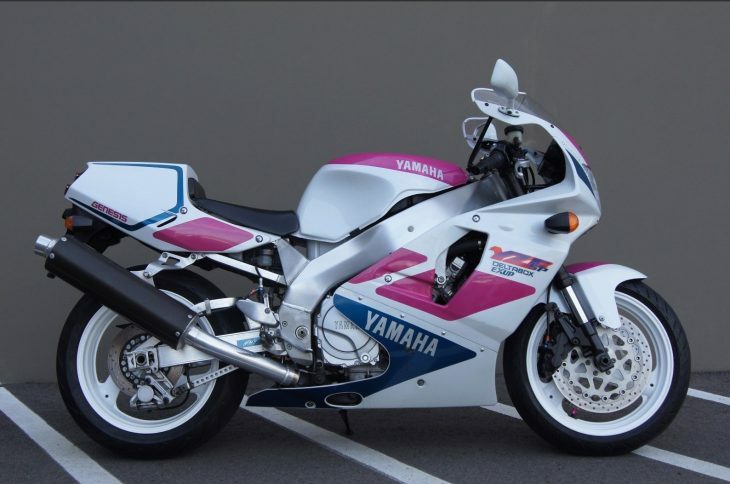 But consider this...it won the Suzuka 8 hour in 1996 which made it the the only non-Honda to do that in over 10 years and it dominated in Superbike Racing in the UK from 1996-1998. Think about that timeframe for a second..notice anything? It means the SP was dominant on the track for 2 years after the company stopped making it, a truly amazing result. In case you are wondering how Yamaha achieved this the answer is in typical Yamaha fashion the SP was developed as an evolution, not a revolution. 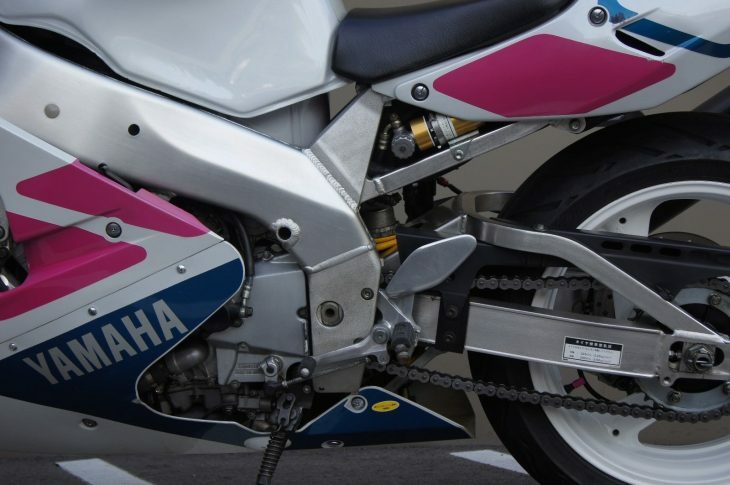 Like the preceding OW01, the SP came equipped with Yamaha's EXUP system which delivered both high rpm performance and good mid-range. The 3/4 liter powerplant was wrapped up in a new deltabox frame designed by the same man who would lead Yamaha's R1 effort. And handling was done by adjustable forks and 6 piston calipers, a first on a production machine. The SP also came with flatside carbs, a close ratio gearbox, adjustable swingarm pivot and lots of other trick goodies designed to help it dominate on the track. 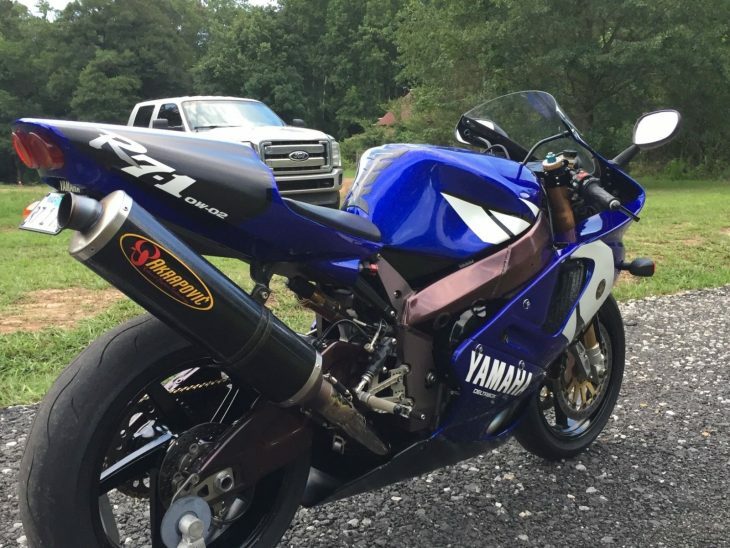 NOTE: I did note a fairing scuff on the riders right side lower (zoom in on the pic below on the ebay auction, you can see it in the 'Yamaha' Blue lettering) and I am not sure if the exhaust is OEM or aftermarket but other than that this bikes looks completely OEM. I do wish the pics were taken in more direct sunlight though. So this brings us to the question, is this bike worth the $13,000 USD asking price? 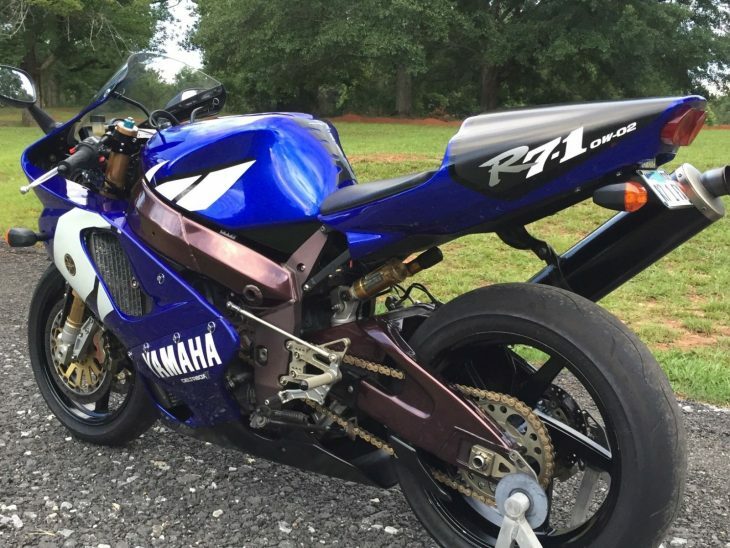 Well when it was new the YZF asking price was $15,000 so the asking price is actually not outrageous and finding one in this condition and mileage seems unlikely anytime soon so the price seems right on. 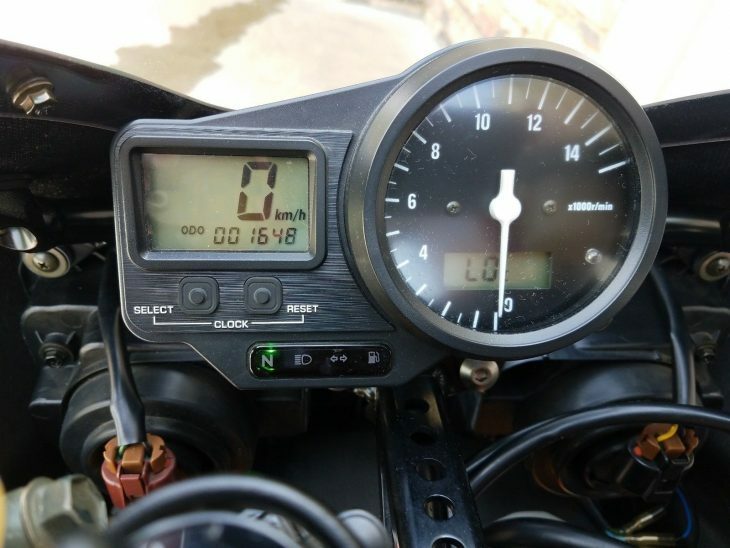 Still this is a 26 year old motorcycle so its not going to appeal to a lot of people/the chances of major price appreciation from this point seem small. Personally I think this one will appeal most to a homologation-era collector. I can envision it parked between a OW01 and R7 or maybe gleaning in the sun next to a ZX7RR. 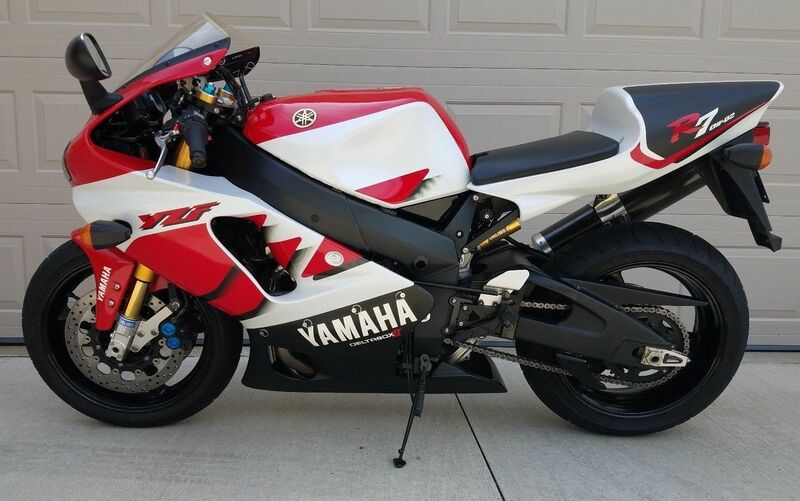 1999 Yamaha YZF-R7 OW02 For Sale in Ohio with Just 1,000 Miles! Here's an awesome collector quality example of the highly sought after OW02 R7. Just 500 of these specially homologated examples exist worldwide and only a couple surface for sale each year. Produced specifically for World Superbike racing, these didn't originally sell with street titles. But with headlights and signals stock, many found their way to the street and this one appears to wear Ohio plates as well. The bike is in excellent mechanical and cosmetic condition with only 1,648 Kilometers (1,024 Miles). Still has the original Pirelli tires. The Yamaha YZF-R7 OW02 is a race homologation motorcycle of limited production run of only 500 units. It was designed to compete in the Superbike World Championship and Suzuka 8 Hours endurance races. Only 50 R7's were imported to the US. 10 were used by Yamaha's factory race team. 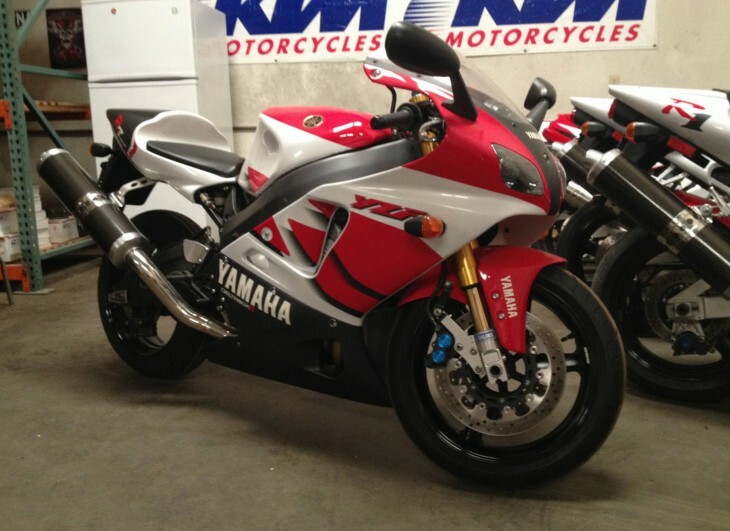 The R7 was built for racing it was derived from information and geometry from the YZR500 machines of the period. 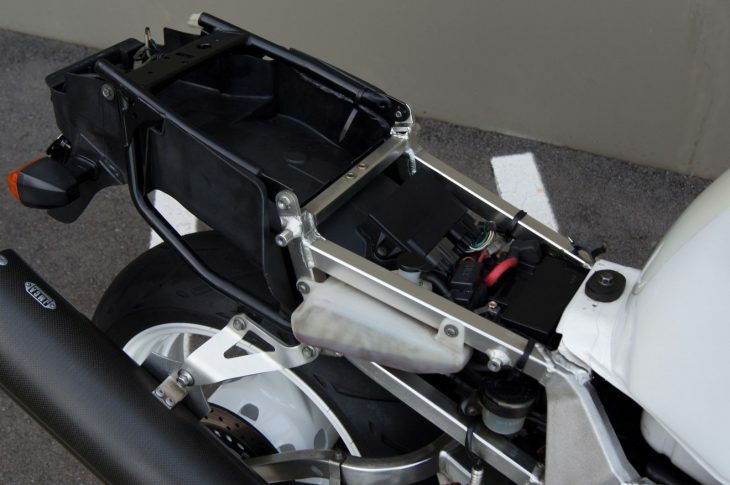 The R7 came with Ohlins suspension components and with titanium valves, titanium rods, a shortened Deltabox II frame and dry weight of just 189 kg (416 lb). I have all the OEM parts. This R7 has had the crank recall done. Included is the factory owner/service manual, YEC kit manual, parts manual and both keys. Searching our archives for previous OW02 examples posted on our site shows the greatest concern is the "crank recall", which this seller notes has been been done and should reassure the next owner. Considering how quickly earlier homologation specials are gaining in value, $35k sounds about right. Good luck to buyers and seller! 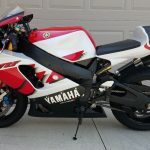 Yamaha's R7 was among the last in a long line of machines from the Age of Homologation Specials, where the manufacturers competing in AMA and World Superbike racing created limited runs of insanely expensive bikes that looked like production models, but were chock full of trick bits like adjustable steering heads and exotic engine internals. For the most part, these were based on pretty common machines from each manufacturer's lineup. But in situations where nothing in the manufacturer's stable really matched their needs, companies sometimes whipped up a bike whose whole production run was designed to allow the bike to compete in a variety of racing classes. 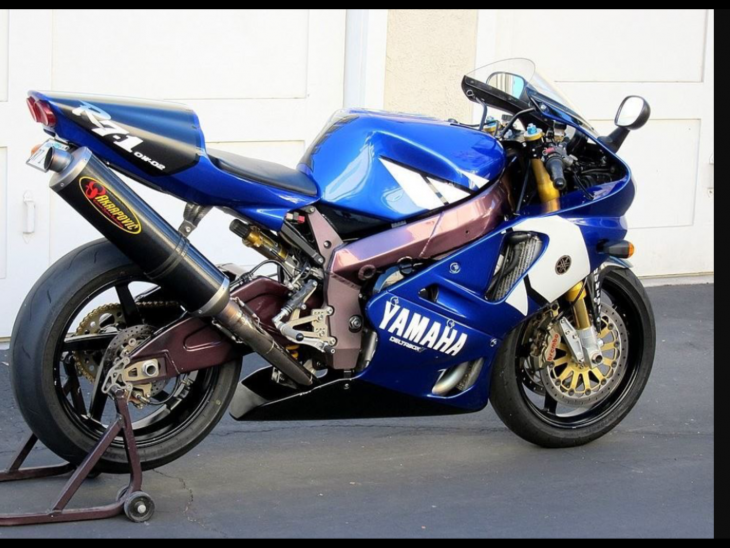 By the late 1990s, the 750cc class was pretty much on its way out as a viable category for streetbikes, but that didn't stop Yamaha from introducing their very trick and hideously expensive YZF-R7. How trick? 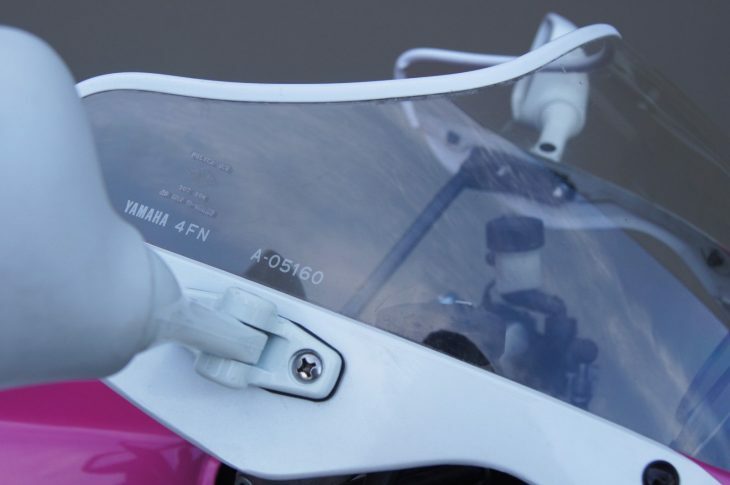 Well the frame was claimed to have been based on Yamaha's 500 Grand Prix machine. Just 50 were imported to the US out of 500 built in total. And how expensive? Well, the R7 was $32,000 late-nineties dollars, and that was before you included the race kit that actually made it fast. Just one problem: from the factory, the R7 made just 106hp, which didn't really provide the performance the looks or pricetag promised. The solution? Just pony up for the race kit that activated a second, dormant test of injectors and replaced the airbox for a revised part that unleashed a more appropriate 162hp but also gave racebike-like reliability. 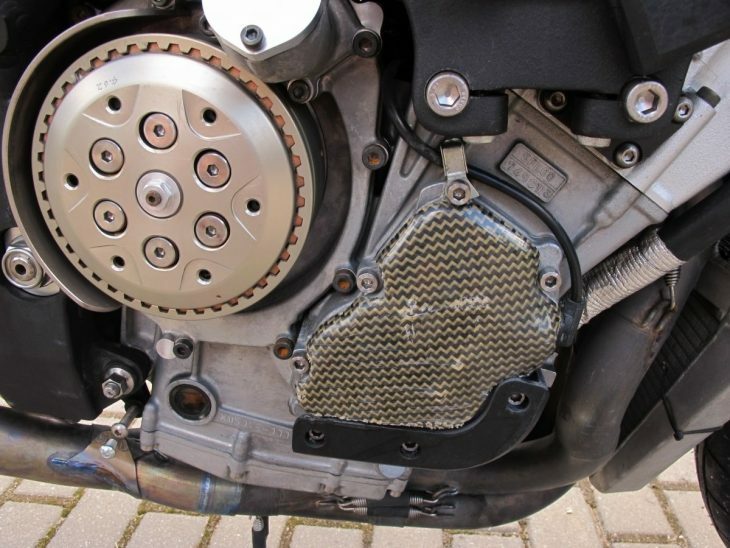 The biggest limitation of the R7 was that engine, and unleashing the full potential could be tricky and expensive, so owners that wanted to use their bikes on the road sometimes switched out the 749cc engine for the 998cc unit from the R1, which seems to have been done in this particular case. I'm under the impression that this was a relatively simple swap and, although it could be considered sacrilege, actually had several benefits: it gave very similar maximum power to the original engine, but with far more midrange, and it also meant the original engine could be saved to preserve the bike's value for future collectors. That appears to have been done here, although the seller's description does leave me with some questions. 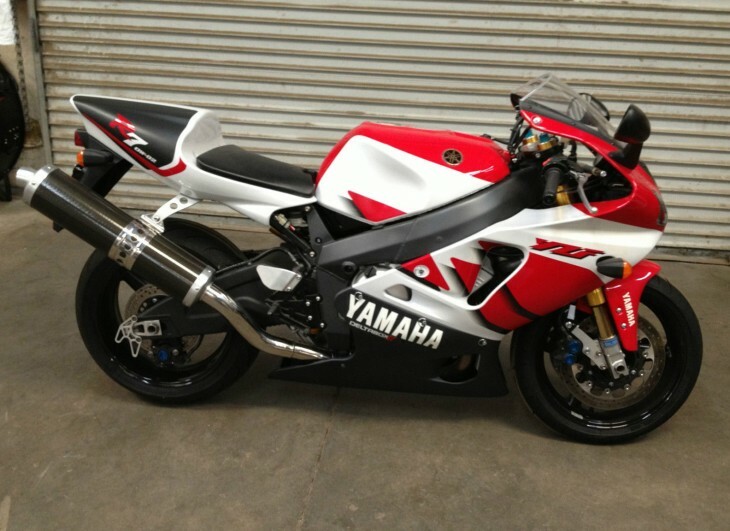 This R7/R1 hybrid appears to have been built to a high standard by Graves Yamaha, so I'm sure they knew what they were doing and I've no doubt the bike is very special. 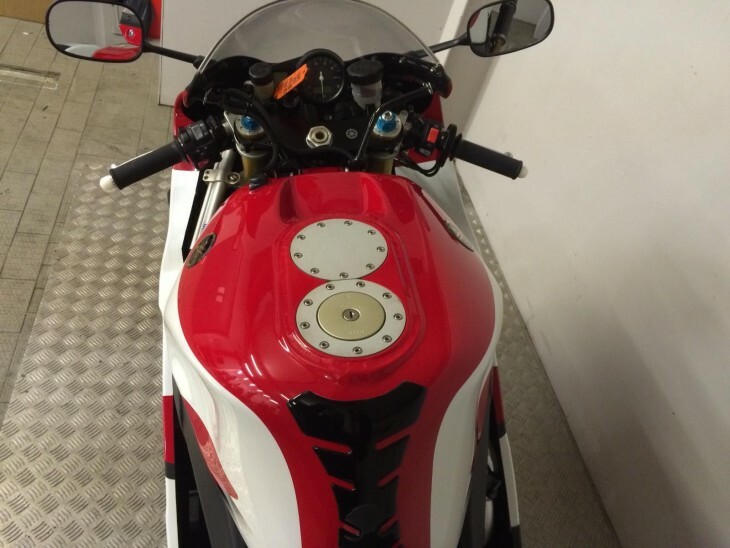 But it would really help if the owner was clearer about what he has: he calls the powerplant a "OWO1 1000 superbike motor" but the OW01 was 749cc, although the five-valve inline four was related to both the R7 and the 998cc R1 units. 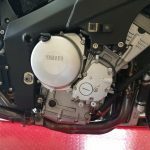 The OW02 engine was supposedly based on that earlier engine and has the same displacement to conform to class limitations, but I'm not sure it can simply be punched out to a full 1000cc. More likely, it has a later R1 engine, which was, as stated above, the simpler, much more reliable way to get the fully-unleashed R7's 162hp without all the explode-y engine drama. 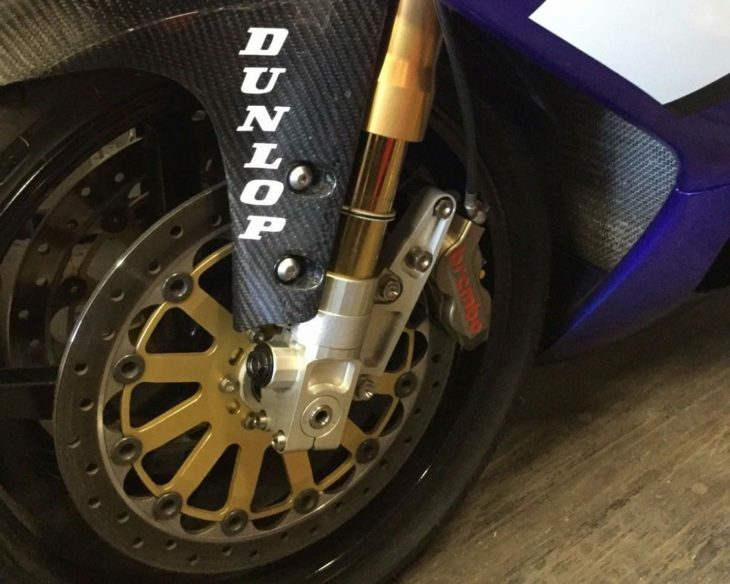 Maybe it's a full-factory superbike R1 unit? The seller also mentions the "half R7 and half R1 frame" which would require some very serious surgery if true. And which halves were used? Front and back? Left and right? 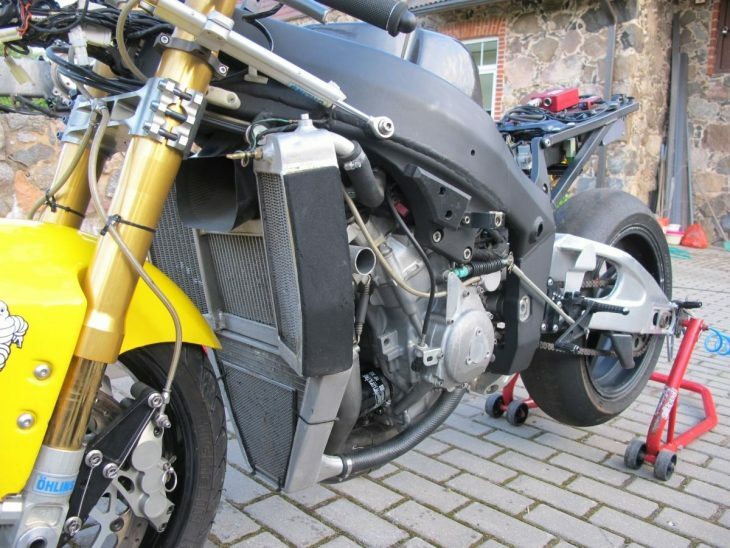 Maybe it's the R7 Deltabox with the R1 subframe? It's also listed as a 1998 model, but I was under the impression that the bike was sold in 1999 and 2000. This bike was built in house built by factory Graves race team and was one of Chuck Graves personal bikes. It might be one of only two left, this bike has every goodie you could imagine on it: Brembo brakes, Ohlins forks and rear shock, superbike radiator and tank, swing arm, custom half R7 frame and half R1 frame, Yamaha OWO1 1000 superbike motor, rear Brembo brakes, thumb brake, brake lines, rearsets, Akro pipe, after market wheels, chain sprocket kit, offset triple clamps. This bike new with the race kit harness was $43,000 and only 32 came to the US that year, it is a very limited production bike, to rebuild this bike in today's time would cost over $100k plus the 1000 donor bike for parts, this bike looks like it just rolled off the race truck. 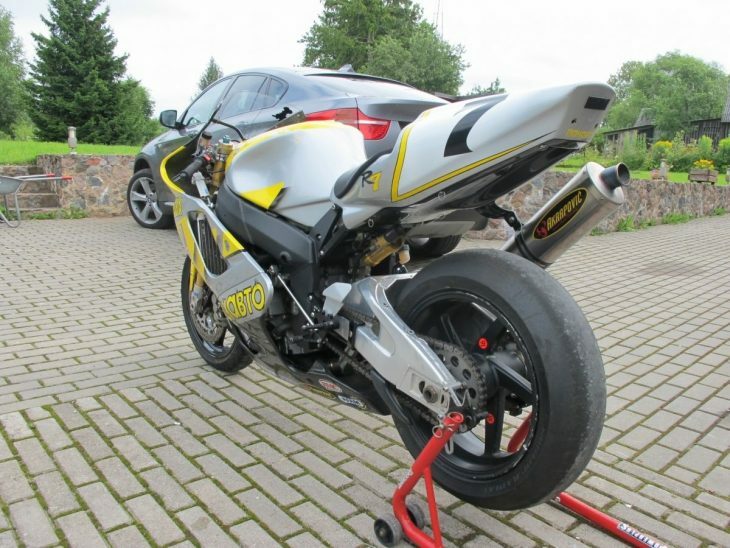 All-in-all, this modified R7 is a very cool machine, with plenty of very trick bits plainly visible, but I'd definitely want some answers to my questions before bidding on this one. 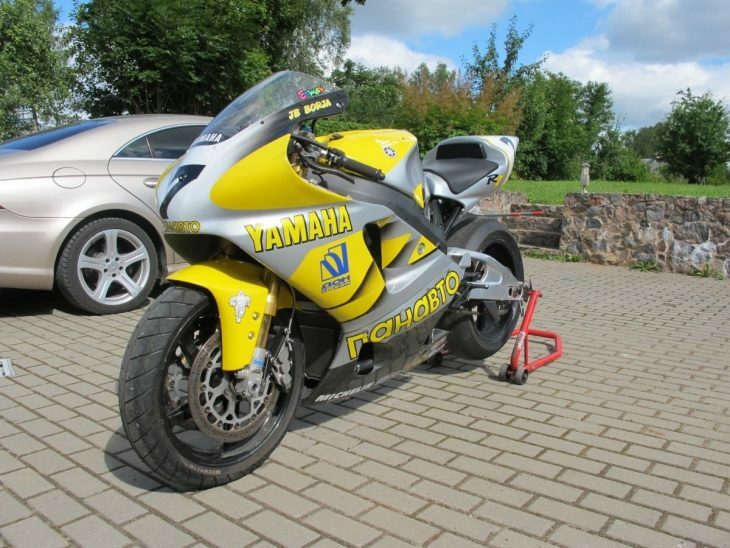 Many, many questions, but worth asking, considering it is a Yamaha R7, after all. 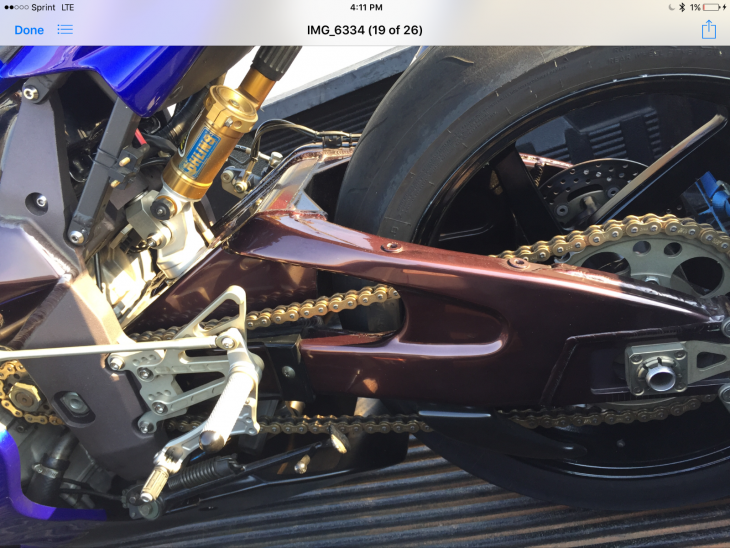 I'd especially want to know if the original motor is included, as a good chunk of the bike's value is wrapped up in its originality, and while this might be an amazing machine and a true track-day weapon, all those modifications likely hurt the collector value. 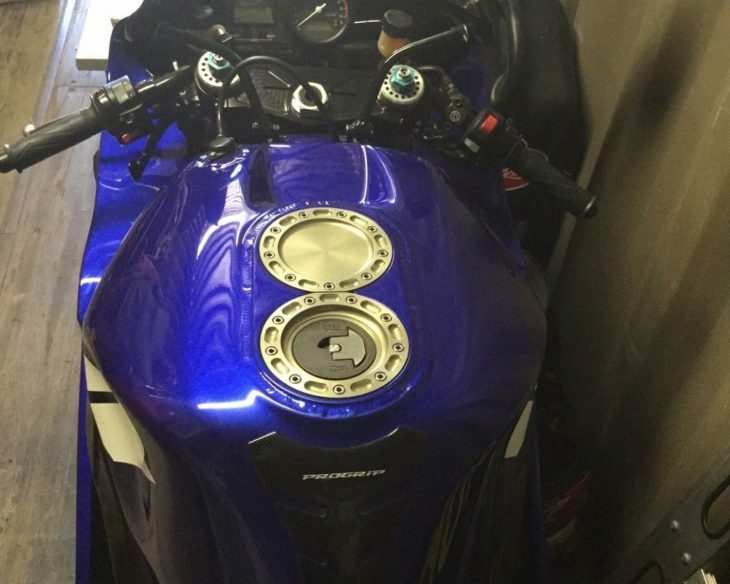 As always, if you have any insight into the bike, please feel free to fire away in the comments! 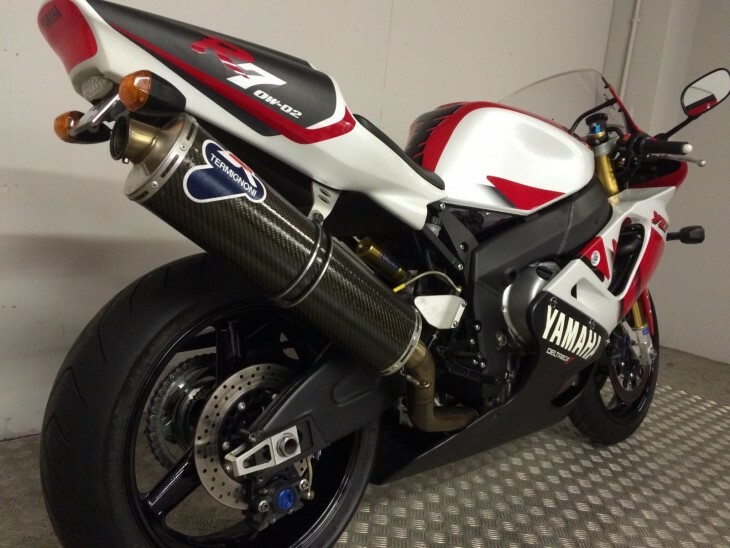 Sold for just two years, the R7 was discontinued after the disappointing performance of Yamaha’s WSBK team. 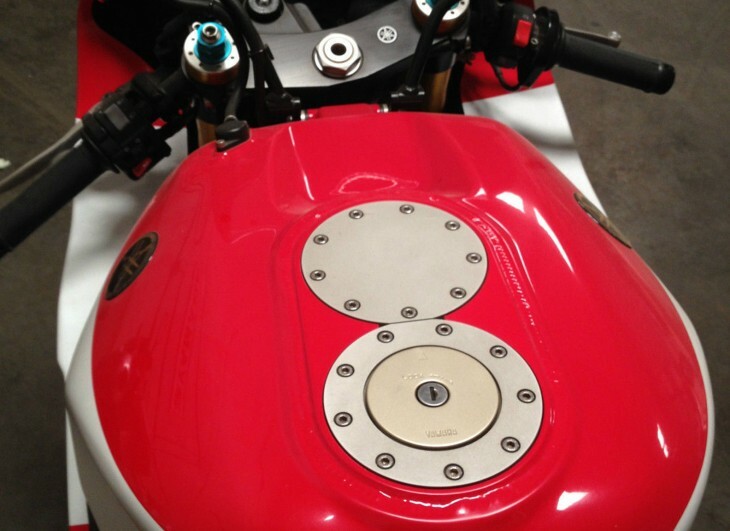 To keep the racing competitive and encourage different manufacturers to participate, twins like Ducati’s 916 were allowed a displacement advantage to overcome their relative lack of power compared to four-cylinder machines. But parity is a moving target in racing and, by the late 1990s, the rules started to favor the v-twin bikes so even Honda switched to a new, two-cylinder engine configuration in order to compete. 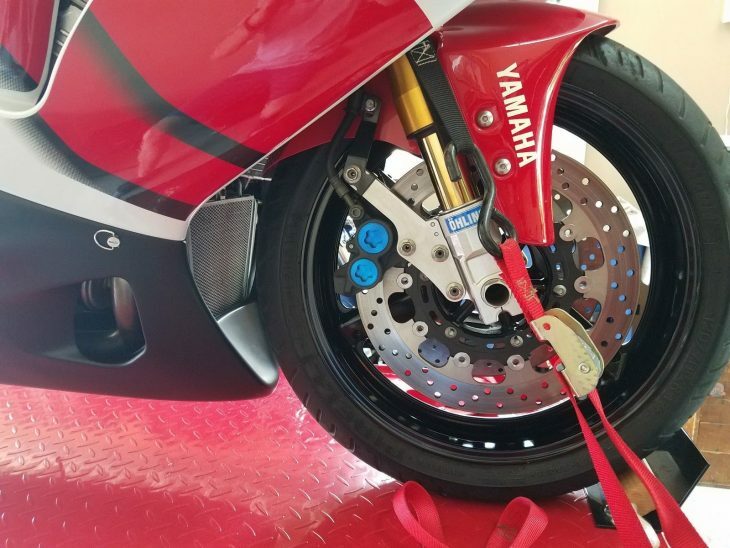 Equally disappointing was the R7 road bike’s tested performance: by 1999, emissions laws had evolved far past a point where it was possible to ride your racebike to the track, pull off the lights, win a race, then ride it home. The result? A dead stock, the R7 made just 106hp, on-par for 750cc sportbikes of the era, but very disappointing for a pricey exotic. That problem could easily be fixed by activating the second set of injectors sleeping within the motor and fitting a revised airbox that gave a ram-air effect, but the full 162hp also shortened service life of the engine. None of which was an issue if you planned to race your R7, but a bit of an issue if you wanted to use it on the road. I’m not sure the bike was ever officially sold for road use here in the USA, although I’m sure there are a few kicking around in states with looser regulations. That’s hardly a problem here, since this is a racebike. 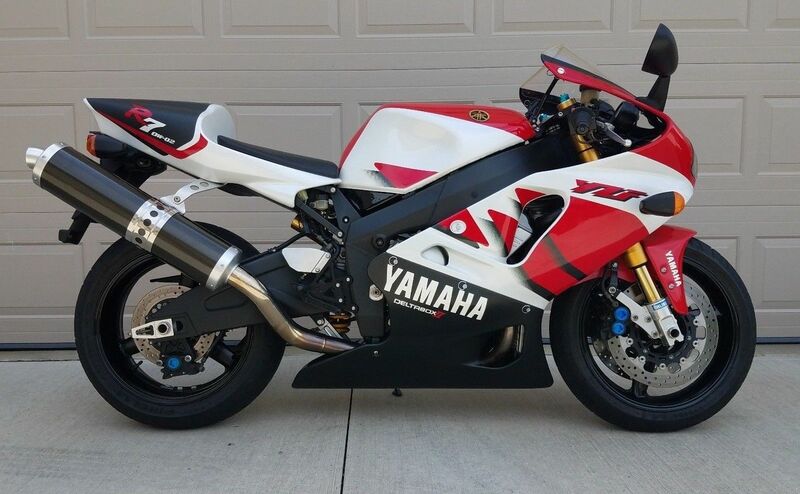 Don't miss Your chance to become an owner of very rare Yamaha YZF-R7. Only 500 was made. All documents in order, customs clearance. Very good condition. Can be delivered anywhere in Europe. In 2001, the Russian company PANAVTO became the general sponsor of the Spanish racing team, taking on board the highly positioned at the time the Spaniard Juan Bautista Borja. 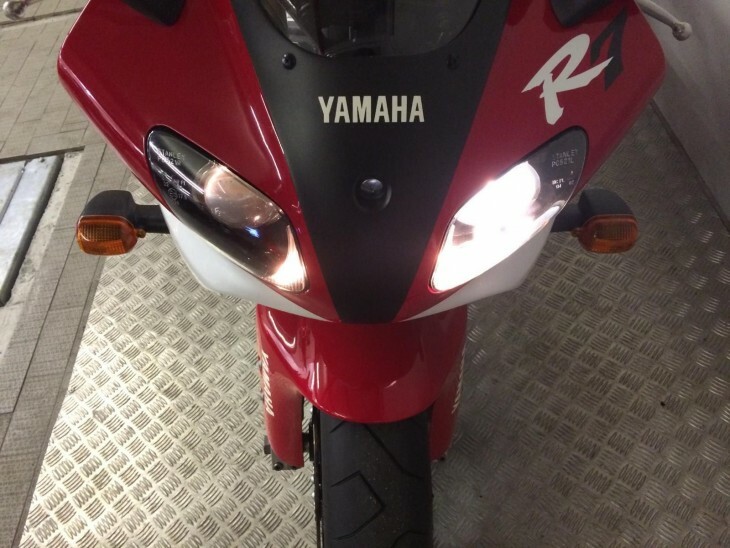 It has at its disposal one of the most famous in the world, but same time very rare bike - Yamaha R7 (OW02). It was most advanced racing motorcycle for the World Superbike that time. It was the first and not the most successful attempt to join the Russians in WSBK, as the costs of participation in the series proved to be much more serious than it was then assumed management of the company, and Juan Borge managed to earn 12 points for the season, becoming the 33rd on its results (out of 44 pilots, published at the start at least once). The R7 is a very exotic and desirable motorcycle, and this genuine World Superbike-prepped machine offers up tons of legitimate race-track performance, along with that eye-watering $29,000 Buy It Now price. 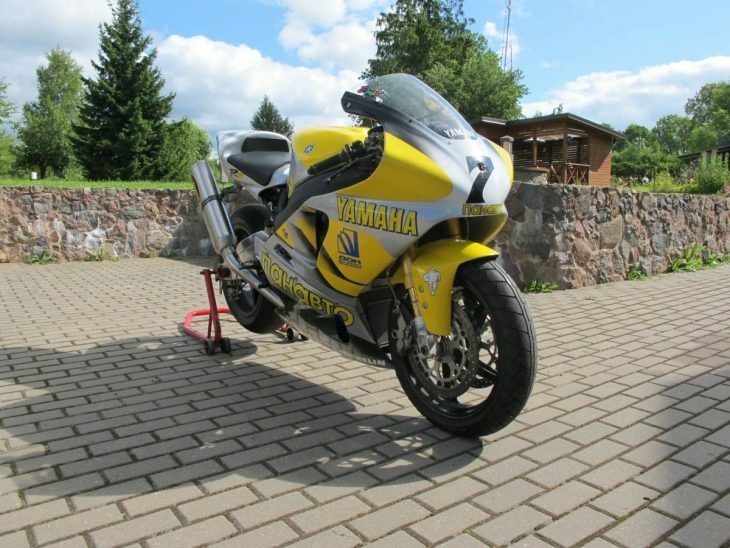 So far there hasn't been much interest, but is that because of the price, this bike's undistinguished racing history, or because the bike currently resides in far-flung Latvia? Is someone out there brave enough to drop nearly $30k on a very exotic track-day toy? Let's hope so. 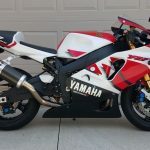 Introduced in 1999 and sold for just two years, the exotic Yamaha YZF-R7 OW02 was the long-awaited successor to the OW01 of the late 1980's, a barely-legal roadbike intended to homologate the R7 for World Superbike competition. 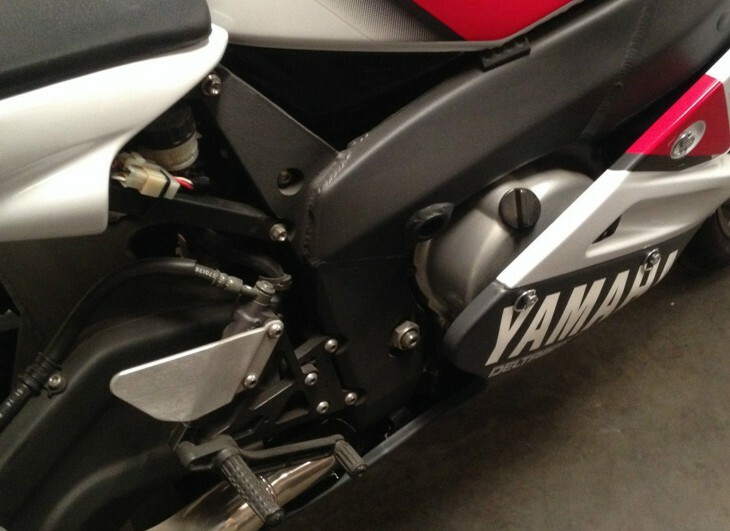 But after just two years, Yamaha pulled the plug on the bike and their WSBK team as well. 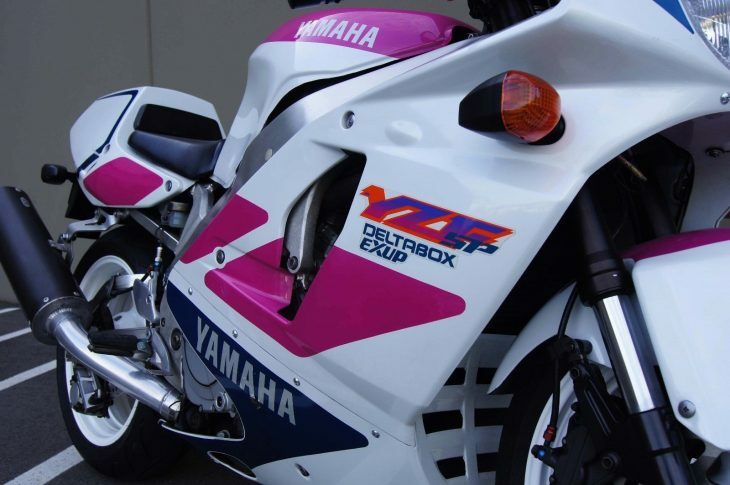 Was it because Yamaha felt their inline four couldn't be competitive in a series whose rules heavily favored v-twins? 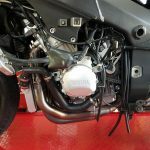 Possibly: even Honda gave up on their RC45 to run twins, a move which saw them achieve the success they'd been seeking, but unable to find with their V4 superbikes. Regardless, the R7 featured tiny details all over the bike that made it more than just another roadbike: the steering geometry could be changed to suit rider preference, with rake, trail, and the steering head all adjustable. 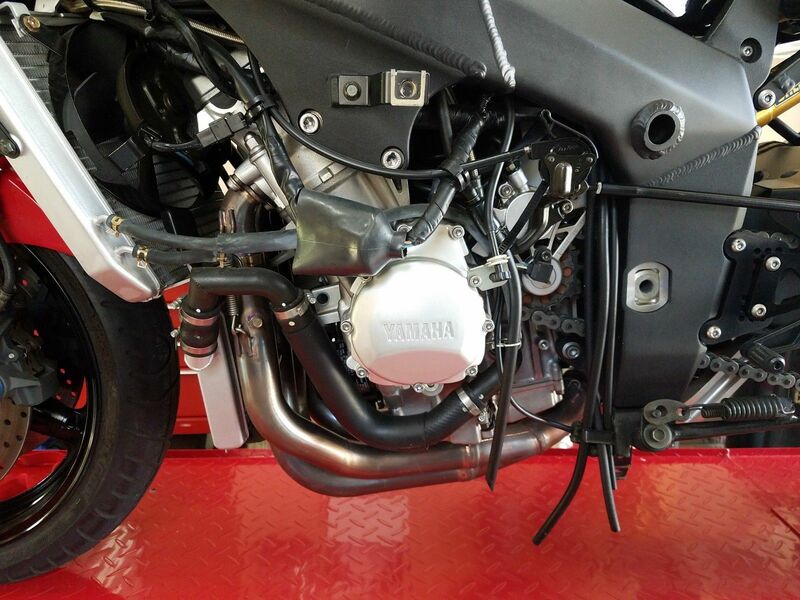 The 749cc engine, as you'd expect, featured Yamaha's five-valve heads. Dead stock, the bike made a disappointing 106hp, but that was simply to appease emissions and safety legislation. 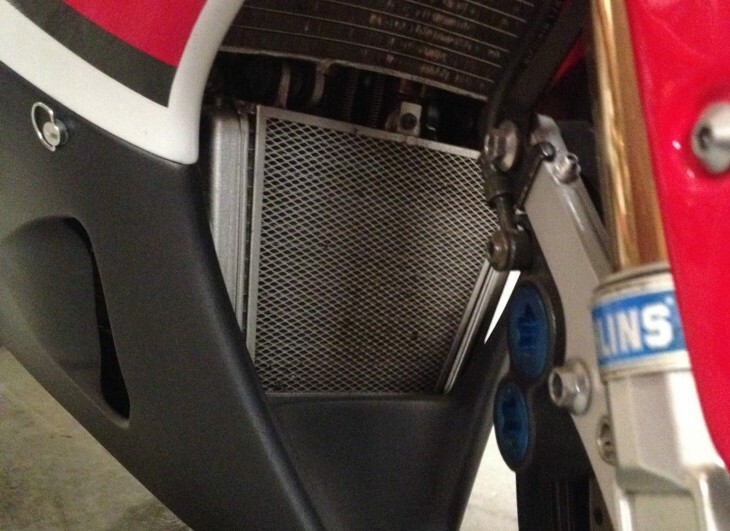 Each bike has a second, dormant set of injectors that could be activated. Along with a race-kit and a carbon airbox that added a ram-air effect, the two sets of injectors unleashed the full race-spec 162hp. 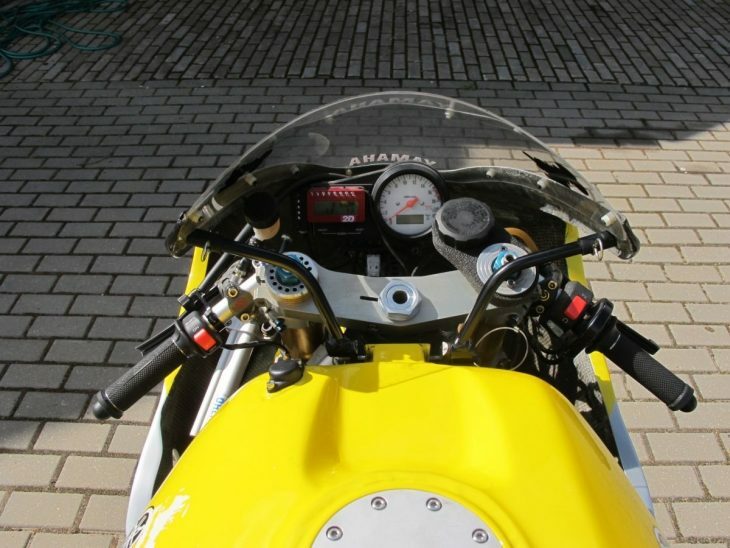 The bike is in excellent mechanical and cosmetic condition with only 6490 Kilometers (4032 Miles). The Yamaha YZF-R7 OW02 is a race homologation motorcycle of limited production run of only 500 units. It was designed to compete in the Superbike World Championship and Suzuka 8 Hours endurance races. I also have the OEM versions of these parts. all 8 fuel injectors being activated. 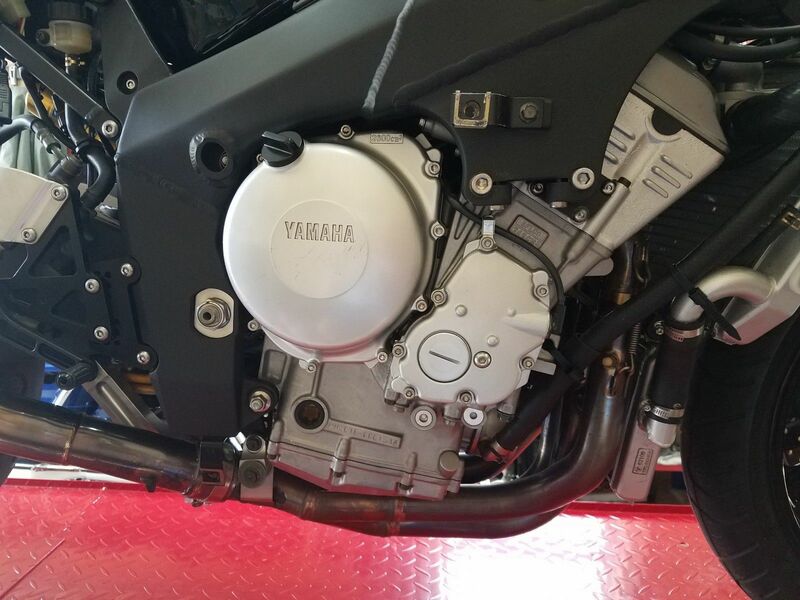 This R7 had the crank recall done at Wilson Yamaha in Fresno California where the bike was originally purchased. 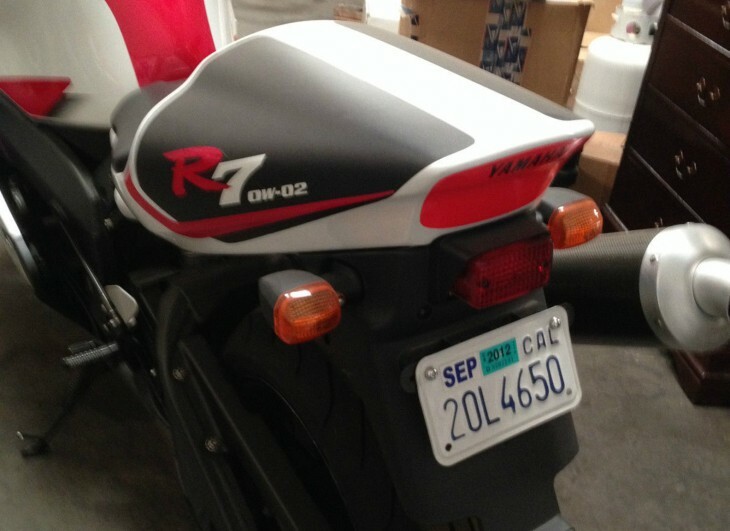 Also, this R7 is titled and plated in CA. There are no back DMV fees due, the bike is in non-operation status. I also have the factory assembly manual and YEC kit manual. As is so often the case, I'd love some better photographs: seriously, if you upload them and realize they're kinda blurry, you can go back and reshoot them. Especially if you're expecting top-dollar for your bike. 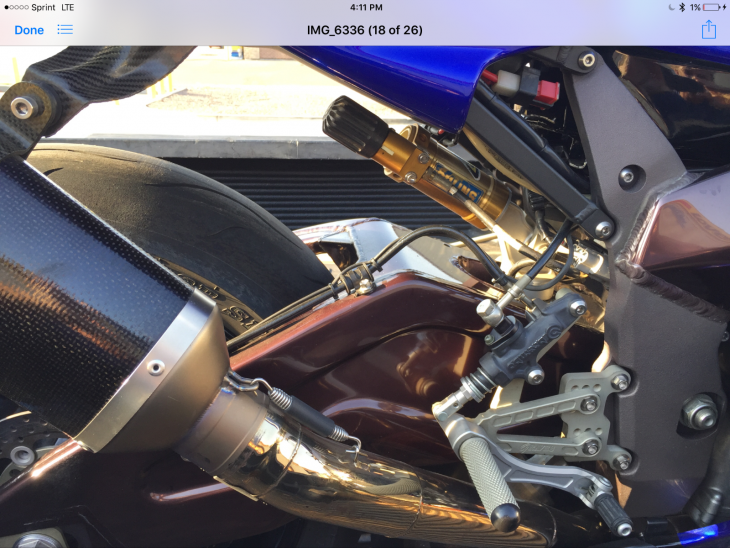 Yamaha April 7, 2015	posted by Mike M.
For many of us who remember the heyday of World Superbike racing, one of the indelible images will always be the maniacal "Win it or Bin it" style of Japanese madman Noriyuki Haga aboard his beautiful Yamaha R7. Haga won almost as many races as he crashed out of. While it was probably infuriating for the Yamaha Factory, it sure was entertaining to watch for the fans. 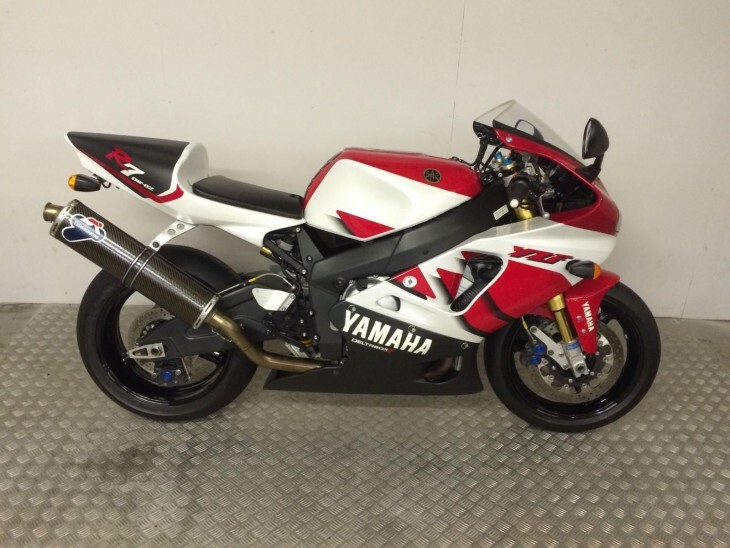 YAMAHA YZF R7 OW02 2001 Covered 18,755 miles from new in immaculate condition fully original bike apart from after market Termignoni exhaust system fitted. Must be seen to appreciate condition, very rare classic, investment opportunity.